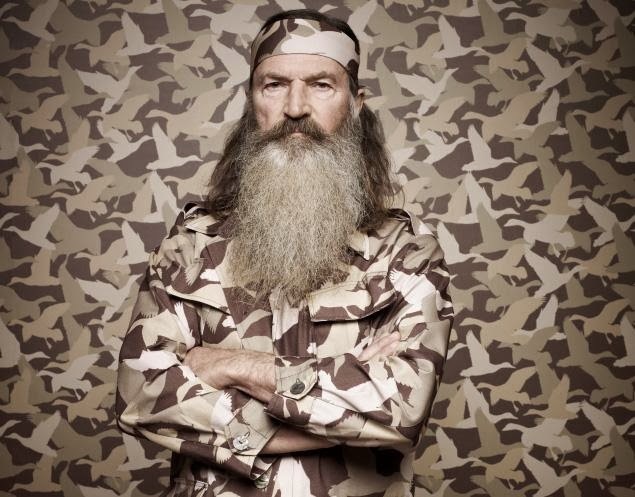 Of course one of the most visible expressions in current events was the Duck Dynasty TV star, Phil Robertson. Robertson's views came across in an interview with GQ magazine that was apparently intended to stir public controversy. Interestingly enough, Robertson really said nothing that was new or shocking, any more than an honest description of the physical reality that sexual deviance represents. But the "thought police" were all over it in a flash. You all know what happened. The TV network A&E caved in to pressure from "gay" advocates to fire Robertson. Then they caved in to pressure from public opinion to rehire him. Either way, the public response was to cast Roberson as the hero, A&E as snivelling cowards driven by marketing surveys, and "gay" as habitually indulging in unsanitary habits.